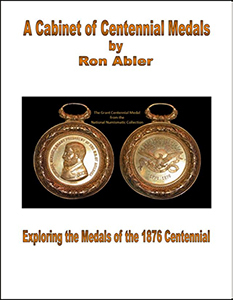 Ron Abler’s Centennial Cabinet, Exploring the Exonumia of the 1876 U.S. Centennial Exposition. hosted at the Newman Numismatic Portal. Chapter 15: Official Centennial Medals? You can still visit the original site.